06/02/1968.02/06/1968.06 February 1968. 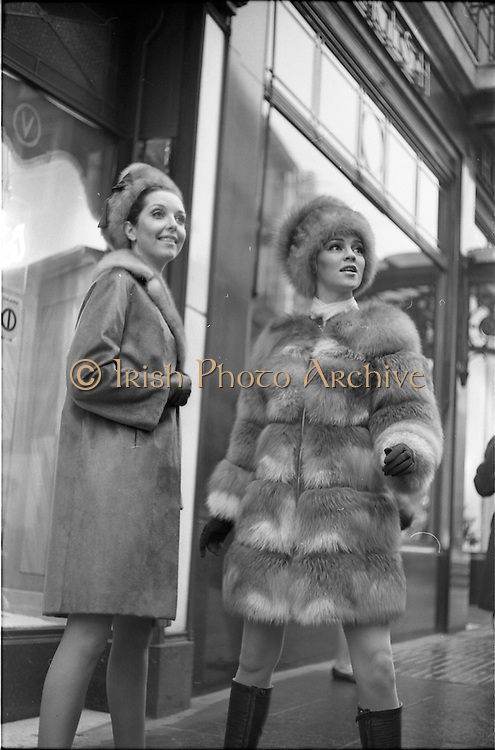 Adrienne Ring, Ballyjamesduff, (right) wearing a Russian Red Fox Mini Fur Coat and matching Cossack hat, by David Vard and Pat Murphy 6 Vernon Grove, Rathgar, wearing a Lakoda Seal Coat trimmed with Pastel Mink and matching hat which will be shown at the W.I.Z.O. 'Preview to Spring' fashion show at the Gresham Hotel, Dublin on Monday next, 12th Feb. 1968.